All kinds of studies on the Prusai the most mysterious people are very subjective, their contemporary with the community historical records, made by hand of not-Prusai are very unfavorable to them, maybe there were documents written by some Prusai, but by those not-Prusai were destroyed. Entering into a very sensitive area, to lean upon historical documents from the era, in the first place it is not important the source of this information, intentions, and the interest of the author. Current research despite sincere intentions are subjective because of the insignificant track record, as well as for centuries drumming up politically correct "truths" about Prusai, which persisted among historians and today are dogmas. Tragic premise subjectivity that is widely understood, that the community is exctinct, and even the Prusai writing about the Prusai never lived among Prusai. 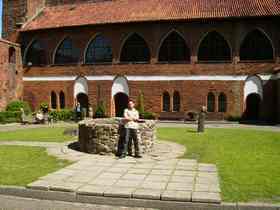 Describing the Prusai history from outside led to the consolidation of their image, the Prusai as savages and barbarians for two historical facts, their beheading of St. Adalbert, and bringing to Poland Teutonic Knights for their Christianization. The total lack of conclusive studies on the Prusai, forces to look at the issue with a much broader perspective in order to obtain the knowledge shifted from a subjective area, to the objective, with the use of all possible sources, including the present. The Prusai in their culture did not divide the knowledge into various branches, the knowledge as a whole was the religion. Further the epigone cultural circle of such life attitude remain with the Old Believers, and what is interesting, that those Old Believers after the Nikon reform in large numbers settled on the lands earlier inhabited by the Prusai, they really were soul mates. The extremely ecological approach to the life of these communities, as well as a mastery of cultivation may give rise to a claim that the Prusai were Christians of Solunski Rite (Cyril and Methodius). To lean upon these premises does not give us confidence to the staked claim and requires further proof; the Prusai did not live in the villages but in isolated settlements around which in their fields were the family, thus growing and consuming their own food, and all meals were celebrated with equal reverence as today the Catholic priest celebrating Mass. In the Prusai meals subject to special blessings were food produced by a neighbor, never eaten foreign food production, so too, do today's Old Believers. Here it should be noted that these rules also applied to all Slavs before their adoption of the Roman Christianity, at this point, next born is claim that the Slavs were never natural enemies of Prusai, and the hostility with the Slavs was entered imposition of the Christianity. On the subject of the Prusai and Slavs religion, science circulate only guesses that have no real justification, putting them in a row heathen worship and the faith giving them the supreme deity of thunder, what justifies their ignorance. In some studies can meet tentative statement about a life-giving Spirit, the whole ubiquitous nature, the Prusai were Solunski Rite Christians as all representatives of haplogroup R1a1 Y-DNA and part of R1b1, who emerged from the worshipers of ice water, a remnant on earth are Old Believers. The essence of the introduction of the god Perkun-wielding lightning and storms, the pantheon of gods is a testament to a very deep knowledge of nature, if you will be analyzing the nitrogen cycle and ammonium salts in the nature caused by the lightning, with the salutary yields impact on agricultural. Knowledge of that nitrogen flow, crop rotation confirmed with leguminous plants, and the use of the urea. NO SUSTAINABLE NITROGEN CYCLE IN THE NATURE IS MORE DANGEROUS TO OUR CIVILIZATION THAN CO2 EMISSIONS, AND MODERN AGRICULTURE AN INTRODUCTION OF NITROGEN FERTILIZERS LEADS TO MORE AND MORE OF THIS DESTABILITY. The Prusai (also Slavs) bearing in their growing winter crops had to know the process of vernalization, and being excellent fruit trees growers were familiar with the essence of vaccination and other treatments. In a widely understood agriculture, undoubtedly used the biodynamic calendar worked to the perfection, which is now tentatively placed only in certain respects. Prusai by culturing own horse race, perhaps other animals too, they had to know the basics of genetic selection in order to obtain the most desirable white color. Perhaps they have used genetic selection rules applied also to humans, because the society was growing exceptionally healthy. 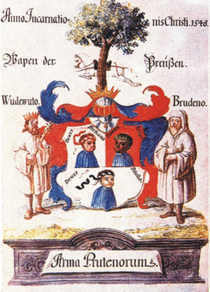 Very emphatic confirmation of the Prusai Solunski Christianity, is the presence in all the coat of arms, the crippled Solunski cross, perhaps in order to emphasize the tragedy of their history. With steadfast Prusai truthfulness and keeping their words, without a doubt, we can appeal to the essence of the Greek Logos, and to the gospel of St. John write "In the beginning was the Word, and the Word was with God, and the Word was God." The Prusai did not attach importance to worldly possessions and ornaments. The lands inhabited by the Prusai, the place of occurrence of amber in its most noble variety, namely the Baltic Sea which is called the object of desire of the Antiquity, despite the amber deposits in Kurpie, Lublin and Volhynia, the Baltic variant was the most desirable. For a few thousand years before the Jews posted a record of Eden in the Book of Genesis, where is the fragrant RESIN, Prusai lands were visited by various peoples of ancient civilizations. Greeks travelled to the Prusai, left a myth of Jazon and his expedition, through the Ukrainian and Polish rivers, along with the Argonauts for the Golden Fleece-amber, deliberately hiding the destination, of the route and place of the expedition, but not to the gold of Colchida. The road to the gold of Colchida was commonly known, such an explanation of this myth is due to the ignorance. The most famous Antiquities sailors Celtic Phoenicians flow around Europe and through the North-Baltic Ocean to reach the Prusai, leaving a name for amber, which in slightly modified form is valid until today and after Phoenicians is the amber JANITAR. For the avoidance of doubt, the Celtic origin Phoenicians need to know and consider the etymology of the names of which were designated: the Phoenicians, Sidonians, and Kannaneians. All the names of the community derive from the words of Celtic (Irish), and as Fin, Fine, Fene, Feni is as much as a family or clan, so it was thus organized their community and from it Phoenicians. The Irish Book of Invasions tells us that the last inhabitants before the of Ireland called Tutha de Danann (people of Dannan), which is similar to the name Kannan, and those conquered by Kaledons went to the Celtic land of the dead called SID hence the Sidonians. 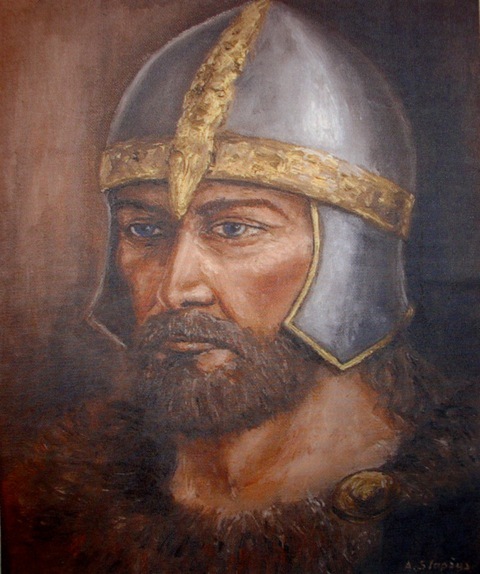 Perhaps part of the Phoenicians settled in Denmark, giving it its name from Dannan, different from the names of Norway and Sweden, such a method could arise from Dansk Gdansk name, such an assumption may help explain celticism of Latvians. It is quite possible that these newcomers would leave there their genes, so it may have been with the later newcomers to the Prusai land the Romans, and Arabs. In fact, do not rule out a visit of Mahomet, who for many years was a merchant as a representative of a rich widow Hadzidza and frequented in various lands, it is in a number of conditions present in Islam and Arab culture. 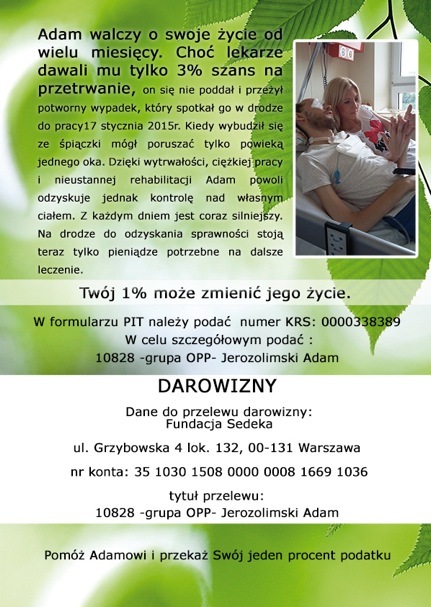 In order to realize the hatred of Vatican for the Solunski Christianity should fully understand the course and consequences of the so-called pagan reaction in the Czech - Drahomir and Poland - Boleslaw forgotten as their antagonists underwent brainwashing in Magdeburg, and in the meantime St. Adalbert. The missions trip of St. Adalbert to the Prusai and countless visits by various nations was not unusual, as opposed by the outside world, which has given a huge propaganda binding sucking in all Boleslaw project beguiling him of receiving the crown from the hands of the Pope. Latins knew that the Prusai are Christians of Solunski Rite and purpose of the mission was not to convert the pagans, but convince them to Roman Catholics, the main goal was to capture the amber deposits, which, as history teaches us is the truth. 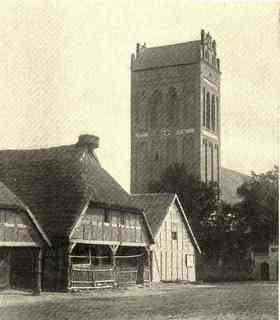 According to the transfer, the process of mission is full of contradictions, early in Gdansk St. Adalbert ordered the excision of the Holy Oak, which has not met with the Prusai response, very strange, and if there were combined fight with result of the beheading of St. Adalbert then there would be no doubt about the truth of such reports. Taking into account the fact that the places and objects of worship were taboo in Prusai law, seems even stranger to be permitted Mass celebration and overnight stay at the Romowy. After the celebration of this Mass, seven Prusai against 30 Boleslaw warriors were able to penetrate and kill the St. Adalbert, cut and take his head. If there was a residence permit of the mission on the Romowy and celebrate Mass, then it was the result of the Prusai brotherhood with the Poles and the Czechs among whom the Solunsk Christianity was alive, and in Poland was in pretty good shape. Therefore, the mission of St. Adalbert was a big flop, verdict by the Latins ordering his beheading, and dropping the blame on the Prusai, the victim became the holy martyr and this from compromising was translated into success. Purchase of the body of St. Adalbert for gold was still more to excite the imagination of the outside world about the greed of Prusai. The propaganda trick is alive to this day, because no one takes into account the fact that the gold for the Prusai did not represent any value. The amber was not even sold for the gold as to not arouse the West pervasive greed . A similar trick of propaganda is the claim that the Prusai were killing babies of female gender. This knowledge, the Semitic Latins acquired during the Crusades and sewed it to Prusai, in order to get applause for their criminal actions. Murdering girls was common between Semites, position of women was very strong in Prusland, equivalent to the role of the man's, thus eliminating this theory. Writing about Prusai as the leading nation of the conquest, wars or robbery is without any evidence, from known materials shows that they never ever increased their territory as a result of the war or aggression, and for the increase in population reacted to the improvement of crop and breeding. The emergence of hostile relations between the Prusai and Poles has grown since the adoption by the Poles of Roman Christianity, for this reason there are hostile relations with the Poles and the Russians. Hostility grew in parallel with the strengthening of the religion, but was not on the ground of the hatred, they belonged to the same haplogroup Y-DNA "R". Quite different with the Germans the haplogroup "I" , the Lithuanians and Zmudzin haplogroup "N". These communities relate to each other with sympathy, and their interests are aligned, which can also be seen today. Before bringing the Teutonic Knights, the authors of predatory wars and invasions in this region of Europe were mostly Lithuanians Finno-Ugric people, do not farm but gathering - not disdain robbery, hunting, well-organized and valorous, blamed for the raids burdened Prusai. Lithuanians never accepted the Solunski Christianity and therefore, did not have any deeper relationship with the Poles, Ruthenians and Russians, and Prusai, fearing their demographic dominance. Lithuanians, the people very small numerically, conquested a powerful territory of Kiev Rus, which was impossible without the help of wealthy patrons what was the Empire and the Vatican, where a community of interests dictated extermination haplogroup "R" and Solunski Christianity. For such compounds supports the fact, direct adoption by the Lithuanians the Roman Christianity in the days before the Union (with the Polish Crown). At the same time the Russians, Solunski Christians, protecting against tampering hands of Christian Europe, secured themselves, using the Lithuanians from the Tatar Horde. The Vatican and the Empire helped the Lithuanians build effective barrier against possible Russians help to the Prusai and forced the Konrad Mazowiecki placing on the Polish-Prusai border the Teutonic Order of Knights, which together with the Livonian Order had to satisfy the pride and greed of the West after extermination of the Prusai, and by chance perhaps were the Russians too. The Haplogrups affinity functioned in the society consciousness for some time as a purely philosophical, and only recently received the scientific confirmation. In the essence of this and as the matter of fact it is based on the differences in genetic haplogroups Y-DNA. Having the knowledge in this field at a basic level, examining historical issues, it is possible that all can be linked in a series of driven events as well as mental, avoiding historical periods of emptiness. The examination of the Prusai history, and not including the haplogrup affinity with Slavs and other representatives of the haplogroup ? R? is without sense, because the Prusai represent haplogroup? R? Y-DNA. The history researchers in their thinking must rely on the haplogrup’s affinity and not on the national thinking. Something like a nation, as such does not exists, this concept was introduced by force and placed in life realizm, in order to facilitate the introduction of animosity within the same genetic haplogroup. The Prusai ought to be treated with the great esteem, firstfully as an organized epigone of Devotees of Ice Water? Defenders of the Waters, in which the most important is the baptism sacrament with water, otherwise the oldest Christianity in the area POLONI IN TOTO - THE POLISH FROM ALWAYS. The oldest preserved Christianity in Europe was in the area of the Greek Macedonia capital in Thessaloniki - Solun, with the center of most important monastery of Athos in Chalkidiki. Also very old Christian tradition are present in the Ethiopian Church, the Chaldean and Assyrian. The Old Believers the form represent to be most extreme, and historically they were Waldenses, Cathars, Patareni and Bogomilcy whose presence in the immediate vicinity of the Prusai, in the twelfth century is confirmed in Kujawy. Once again I appreciate the Prusai as they are my ancestors. In these considerations, harness haplogroup affinity within haplogroup? R? and use to this haplogroup the hostile sources, the use of universal history can bring astonishing effects. Now in? Cosmography? Claudius Ptolemy derived from the second century AD, enumerator of the provinces? 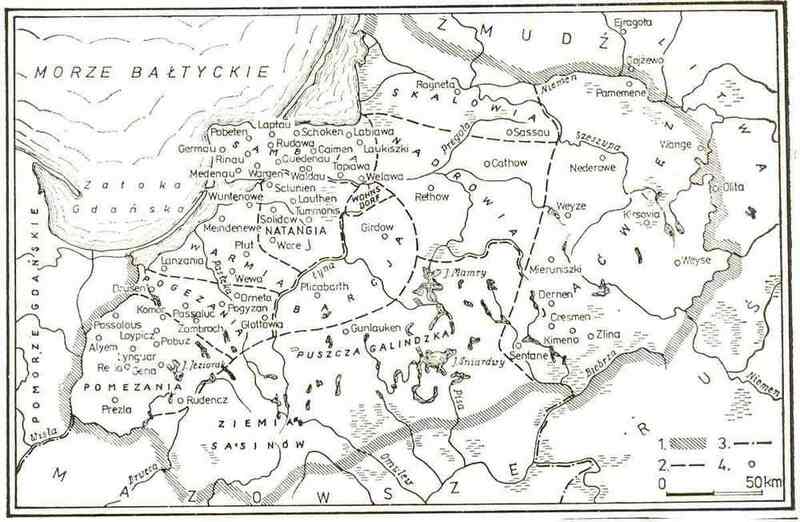 lands of Europe, we find a record of all Polish provinces, as well as the names of PRUFFIA and RUFFIA, when reading a double? FF? as ' S? gives us PRUSSIA and RUSSIA. That record shows, that these provinces were probably much earlier as the equal administrative units, of the greater state, say, a related haplogroup affinity. Going back to the Claudius called Alexandrian, in his book Almagest gives a very accuratemap of the sky with the calculation of the constellations coordinates and fixed stars. This data is actual to the present day with extraordinary accuracy. The science about these historical findings, stated that the Ptolemy made plagiarism and his work is based on the data provided by the astronomer, geographer and mathematician Hipparchus of Nikkeii in the much earlier date, the second century BC,? Nice town lying in Bithynia, now in northern Turkey. That Hipparchus, and more specifically his work served as the basis for the work of other astronomers and geographers, who entering their amendments made the pure knowledge more confusing, which in the form of incomprehensible gibberish reached our time. To the account of Hipparchus achievements, work to be mentioned on the precession movement of the Earth and thus from this movement resulting taking place the change of the course of climate in one cycle. The astronomical-time of Hipparchus calculations from the present do not differ more than 6.5 minutes, and the list of his works is much longer. The ancient Bithynia in present-day Turkey province, bearing the name Bursa, but until the twelfth century, bearing the name of Prusia. To this land assigned are other names, mention only Phrygia, and Pont (from this pontificate). The names of the ancient cities of Bithynia were double, where the second term? am Prusia? defined the geographical location of the called city, also the kings of Bithynia took the name Prusias, so indicating a convergence with Prussia. The further dispute concerning the Hipparchos and Bithynia, suggest we put temporarily aside, however, it should be mentioned that in the Kingdom of Akka-du, King Sargon the Great in the third millennium before our era, the picture of the world including astronomical data was well known, therefore we should honor the Hipparch as the one who continued the work . 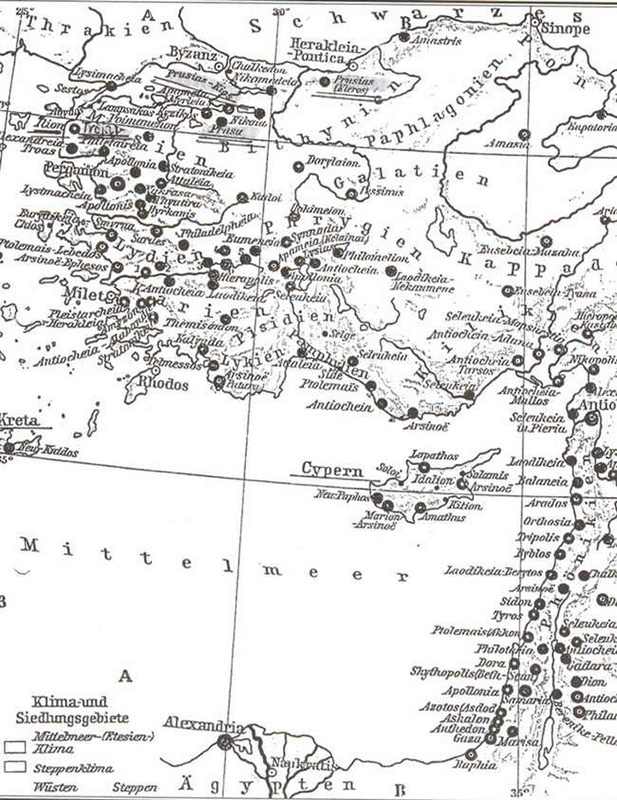 Westermanns Grosser from Atlas zur Weltgeshichte year 1965 Map of Ancient Greece from 200 years BC. Bitynia and Prusia can be seen. The importance of the haplogroup relationship should be noted, that human remains found in these areas are classified as the haplogroup? R?, as well as the human remains in Akka-du. Proving the correctness of certain thesis runs much easier when bound to the individual examples of the thought sequences convergence, where the names and events run in an order. The Hipparch work and other astronomers haplogroup? R? transferred to our present time in the Almagest by Ptolemy, and specially in the book the Germania Magna underwent a detailed study. Such research has been made by the Berlin University of Technology, this university called to confirm the arguments and assertions? Deutschland Deutschland uber alles?, So it is difficult to fault the lack of objectivity. And so this school set up a team of linguists, physicists, mathematicians, archaeologists, astronomers and historians, in order to establish the credibility of ancient records. 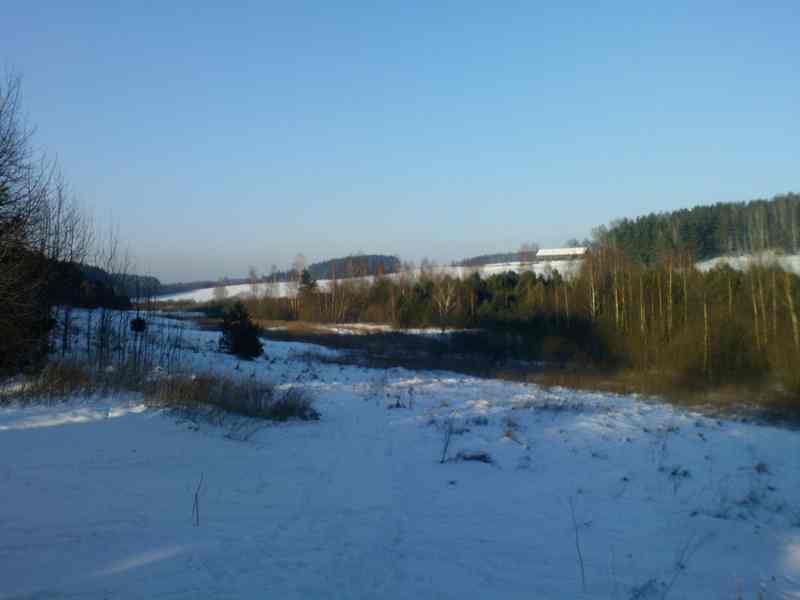 As a result of this work it was found that areas of the astronomical and geographical measurements were made at the territory of Wielbark Culture, the area inhabited by the Prusai. PRUFFII, PRUTENII, BRUTENII, at last Prus northernmost to the utmost land POLISH IN TOTO (in the Prusai and Celtic Tuat-tattoo-country, home consonant saved TT). These two letters are used to form words TATA-father-homeland - the land of children having a father, or community with the haplogroup affinity. The university team making the results public of their research? forgotten? add, that making such detailed calculations require enormous territory of the triangulation networked, and also perform many other conditions, including the knowledge about the universe structure. Since recently such studies, our civilization is capable to carry out, arranging stations and telescopic observatories in different parts of the world. Without a doubt, it does not arise sensation to say that the land of Prusai has territory called RESIA, called today by historians the estate RESIA withf main city Prabuty. The first crusadors’ plans sent by Vatican, was the conquest of RESIA, and the evil Piasts after the adoption of Christianity, directed their policy against their own haplogroup, Pomeranians, Prusai and Ruthenians. They led the wars between themselves wreaking havoc and destruction, it was a constant string of wars in the Slavic parts of Europe resulting from the introduction of the Christianity, Byzantine and the Roman, which gave the nonsense rise the creation of the nations. The further steps in the discussion of our research, we move on, to the northern Italy, where we find surprisingly the land RESIA lying on the river of the same name, and its inhabitants belong to the haplogroup? R? and using to speak with the Resian language belonging to the Slavic group of languages, considered of Slovenian dialect. Interestingly, this language as well as the Prusai shows the same glottis development, so the thesis fundamentally proven, that to record their thoughts both communities were handling the Glagolitic script. The experienced researchers, historians and specialists, as well as to the casual reader of the presented evidence on the land of Resia can assume this as a chance or the coincidence. However, if you move to the northern Iran, and there the name of the historical province Urmi will read RESIA - estate RESIA, the command string takes full expression. According to the tradition, it was from Resian Urmia that the wise men followed the Bethlechem Star and arrived for the birthplace of Jesus in Betlechem when the directional star pointing to the north the Old Star of Kochab took over the by the New Star Polaris Pole. The Zarathustra, founder of Avesta came from the Resian Urmia, which prof. Ignatius Pietraszewski examined and considered as the work of Slavic artists? R?. At that Resian Urmia lived mostly the Chaldean Christians, the Devotees and Waters Defenders coming from the people of Wan. The name backwards read Nav Navi (name of U.S. Navy and Wlk.Bryt.) determines a morpheme of navigation expression, which very often used in Glagolitic formative system anagram palindromic gets word? Nawna? What defines a realm of shadows. Since the ancient Resia, Iranians called their Shahs Reza and the last one was Reza Pahlavi. This reflects the deep attachment to the names and saving the knowledge, as REZ in Slavonic is the name of the first stylus putting letters-CZERT or lines-jays, initially on wood and clay, with time on papyrus and papyrus with a pen, or a special picquet. So, occasionally we explained creating the picquet letters. Using the formative methods of anagram, the name of Urmia's not hard to create a name RUMIA, especially if one considers that in the vicinity of that Rumia are buried underground pyramids. Earlier, probably, Prusai worked deeply with Kashubs, or inhabited that area, but about this later. From the martyrdom point of these three common lands, involved in a very tragic fate; Prusai were subjected in the early centuries of our millennium to a genocide and to this day they are pushed into oblivion. Robbed them from everything, including their name by Teutons, the castles and knowledge, of writing and speech, and as an ethnos placed them among the Baltic barbarian peoples. Much earlier the same happened to the Resians in Italy. And it was in the seventh century BC, when the Venice was conquered and seized, which name comes from the Vena-Bright White Horse placed in the blue firmament, which is the constellation of Pegasus, one of the most important Venice symbols the Pegasus four-horses reproduction and Phrygian cap. No less tragic was the fate of Iran’s Resian, and so in 1835 the Episcopal Church had sent to them a mission, to the oldest Christians, to convince them to Christianity, of which always a formal head is the puppet president of the United States. By force presented them with their new specially gifted alphabet which was prepared to condemn to oblivion Glagolitic, in which the ancient scripts were written of the old Chaldees texts. But when the entire mission was a failure, Resians and their differences were not spared and with the Armenians were exterminated by the Turks during World War I. For the careful observer, the current political scene in the world should be clear, that initiated civil wars or interventions in defense of democracy, primarily aimed at the destruction of status quo, and the destruction of history monuments and especially belonging to haplogroup? R?. Also, the split of the haplogroups R1a and R1b from the historical point of view is without meaning, but serves to cheat the history. Returning to Our three Rezias, not difficult to conclude that this occurred between the geographical triangulation relationship, elementary basis for all sort measurements of Heaven and Earth. So here's a way we got to the first stage of proving the depth of knowledge possessed by the Prusai and their brethren living in the Rezias hapologroup. Since writing the first essay on the Prusai, was a while ago and the scope of my knowledge got wider, the inclusion of Cyril and Methodius was a thick mistake from which I withdraw.